"As a boy in Argentina, I played futsal on the streets and for my club. It was tremendous fun and it really helped me to be who I am today." We are excited to share that once again the City of Dunkirk is partnering with Northern Chautauqua Soccer Association to provide the community with Winter Futsal at the Dunkirk Fairgrounds. This program is run through the City of Dunkirk Recreation Department while NCSA/Concord provides the coaches and training and the City provides everything else. The first session of the program will start Monday, December 10th, 2018 and continue until February 1st, 2019. The second session will begin the week of February 4th, 2019. The fees will be the same as last year ($30 for grades 3-8 per session and $15 for grades K-2 per session). We do not have the exact session dates but we are expecting there to be two 8-week sessions. Sign ups will be on held the first week of practices. So sign ups are December 10th for K-2; December 10th and 14th for grades 3-5 and December 11th and 13th for grades 6-8. The same process will take place beginning February 4th for the second session. The three programs are explained in more detail below. Grades K-2: Runs Mondays from 4:00 - 5:00 pm. This is a skills-based program where athletes will be taught dribbling, passing, shooting and some game techniques. Players will have some scrimmages but there will not be formal games in the program. Players should bring shin guards, socks, size three ball, and a water bottle to each session. Grades 3-5: Runs Mondays and Fridays 5:00 - 7:00 pm. Each session will start with two weeks of 2-hr training sessions where players will be taught dribbling, passing, shooting, and futsal game techniques. After the two weeks of training, the players will be divided into teams and given a schedule for 6 weeks of futsal games. Players will only be responsible to come during their game times. Futsal is very much like normal indoor soccer with a few differences (for instance no throw ins, can't use the walls, no goal kicks, etc.) Players should bring shin guards, socks, size four ball, and a water bottle to each session. Grades 6-8: Runs Tuesdays and Thursdays 5:00 - 7:00 pm. Each session will start with two weeks of 2-hr training sessions where players will be taught dribbling, passing, shooting and futsal game techniques. 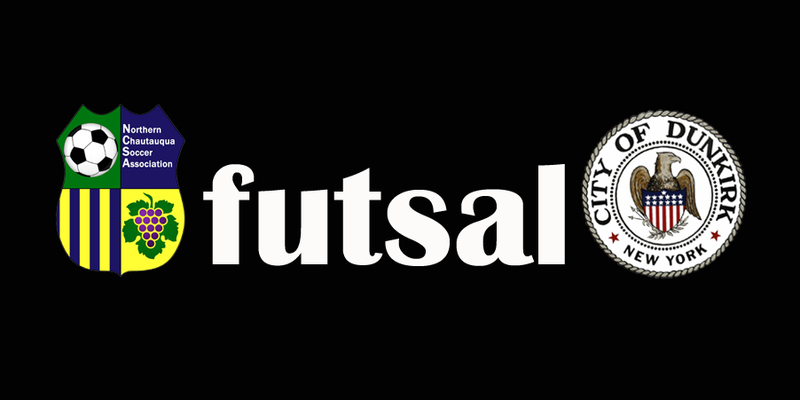 After the two weeks of games, the players will be divided into teams and given a schedule for 6 weeks of futsal games. Players will only be responsible to come during their game times. Futsal is very much like normal indoor soccer with a few differences (for instance no throw ins, can't use the walls, no goal kicks, etc.) Players should bring shin guards, socks, size four or five ball, and a water bottle to each session. If you have any questions please feel free to ask the Director of Winter Futsal Aaron Pietro at aaronpietro@gmail.com.